The beautiful 18 hole format has stood the test of time, by committing to great customer service and fair prices. This 6145 yard course proves to be challenging yet playable with red, white and recently added senior tees for any handicap golfer. The course was originally 9 holes built back in 1972 and the second 9 holes were added in 1990 built from the property that was originally a nursery. Several holes have fairways that run through heavily wooded areas that make accuracy off the tee a premium, Holes 9 and 18 have water carries for your approach shots into the greens. 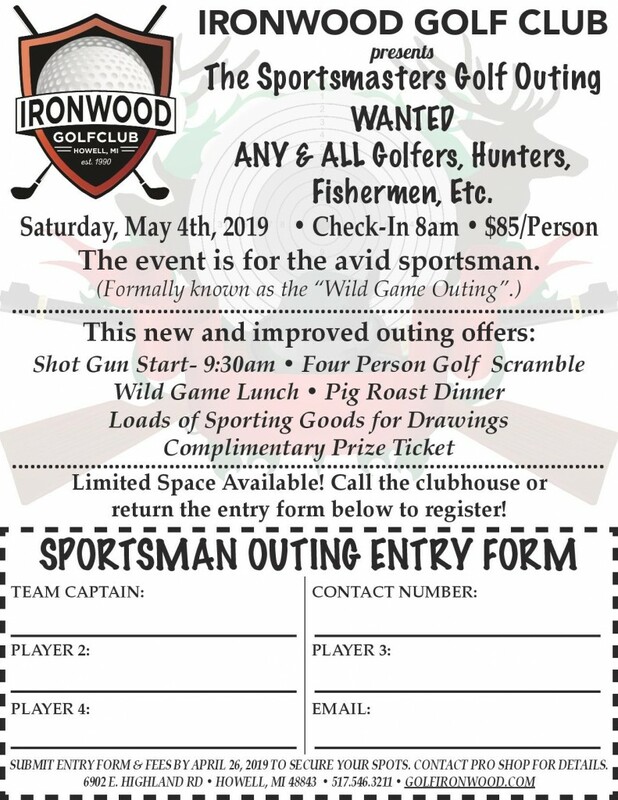 Ironwood is a great place for leagues, outings and special events. If your looking for Winter golf, look no further as Ironwood has two of the newest state of the art golf simulators with full bar service open 7 days a week offering leagues, outings, tournaments, instruction and corporate parties. Check out the Ironwood Indoor Golf simulator page for full details on rates, specials etc. Come see how we turned Ironwood Golf Club into the Premier Winter Golf Facility in Livingston County!